Voted #2 Best Hostel in Australia June 2013! We are a youth hostel and only accept travellers aged 18-35 years old. 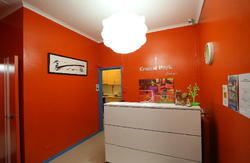 We are a small intimate hostel known for our great atmosphere, around the corner from Sydney's best nightlife! Located on stylish Macleay Street, we are surrounded by the alluring cafes, bars and restaurants that Potts Point is known for. Kings Cross' vibrant nightlife is close by, yet far enough away to have a good night's sleep. From here you can walk to the city centre, the Opera House, the Harbour Bridge and all of Sydney's attractions. Being a small hostel we offer personal service where you can easily meet other travellers, especially if you're travelling solo. Ideal for female travellers since it is a safe, secure and clean. Our guests frequently tell us they don't want to leave because of our 'friendly and homely atmosphere, almost like you're staying at a friend's house'. Blue Parrot is family owned and run by sisters Effie & Sasha. With their team they create a fun vibe winning several awards. We offer free Internet and Wi-Fi, which is a big bonus since most hostels charge for it. Facilities include free use of the Wii Game Station, DVD hard drive so you can upload movies to your laptop and a big-screen TV with cable and DVDs. There's also free use of personal security lockers in each room, plus an outdoor courtyard great for socialising. This hostel is recommended by Lonely Planet, TripAdvisor, Lets Go and the Rough Guide. We don't organise shuttle bus pick ups however we recommend 'The Sydney Shuttle Bus' which picks up from the airport every 30 minutes. They operate from 4.30AM - 7.00PM. The Sydney Shuttle Bus is an independent entity not associated with the Blue Parrot Backpackers. Go to the ''Meeting Point'' which is in the middle of the arrival hall next to the car rentals, and opposite the ANZ money exchange to meet the 'Sydney Shuttle Bus' crew, it departs frequently, or ring them on 9661 1170 to pick you up. 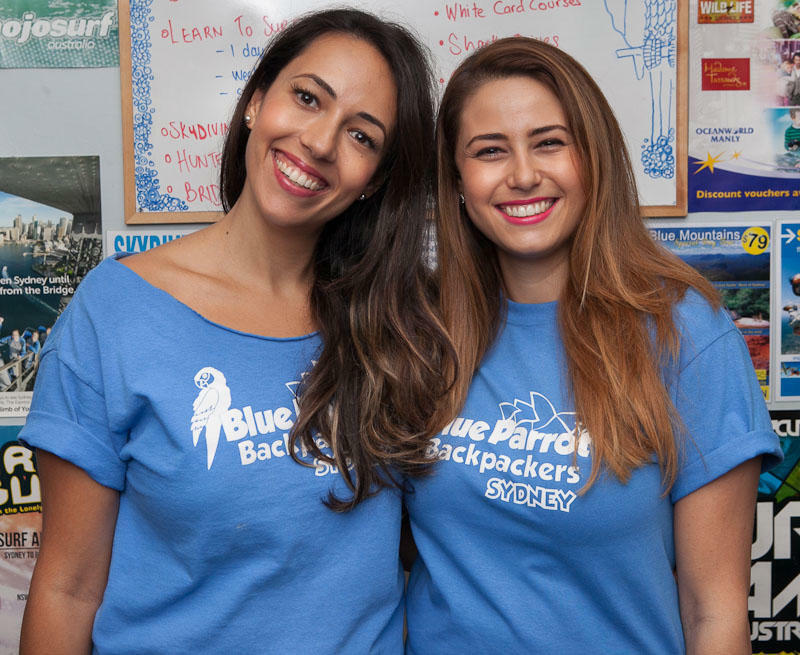 Just tell the driver to drop you off at the Blue Parrot Backpackers. Fare is $13.00 the journey will take between 40 and 50 minutes depending on traffic. Take a taxi if you arrive after 7PM when the shuttle bus stops running. Taxi cost $30 - $40 depending on traffic. The journey by taxi takes between 30 and 40 minutes depending on traffic. You will find the 'Sydney Shuttle Bus' crew at number 5 baggage causeway inside the arrival hall. Catch the train from platform 24 to Kings Cross station. Take the Darlinghurst Road exit; turn left and go pass the water fountain into Macleay street until you come to the hostel about 5 minutes walk, you will see the blue building on your left. We are at number 87.